Gold is a volatile investment strategy - make no mistake about that – but if you are looking for an inflation busting vehicle for your money, gold has proven to be a good choice for many people. But in order to make the right investment decisions, you need to have the facts at your disposal, so why is gold the right choice if you are looking to beat inflation? Gold has stood the test of time for centuries. For 6,000 years, people have invested their wealth in gold. From time to time other commodities were the flavor of the month, but gold endured and today it is still a valuable commodity. The stock market, on the other hand, is relatively new. Investors might talk about hedge funds and mutual, but compared to gold, these investment vehicles have barely been born and, crucially, might not be around in 100 years. Gold is one of the most beautiful of the precious metals, which is why it has long been prized by heads of state and ordinary people alike. People love to own gold and even in hard economic times, the demand for gold rarely falters. Even when the price of gold soars, people still buy gold. From an investment perspective, gold is unquestionably one of the safest ways to hedge against the risk of rampant inflation. 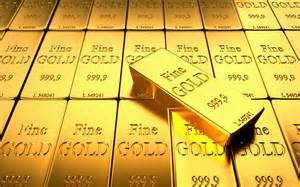 The popularity of gold as an investment vehicle becomes even more noticeable when the global economy is suffering, as it is right now. Stocks, bonds and other assets soon begin to lose their allure when the markets are in turmoil and prices peak and crash on a day-by-day basis. In recent months, demand for gold has soared as investors look to move their money away from risky currency, bonds and stocks. Gold is viewed as the safer option by many because it is not tied to other assets and it isn’t affected by volatile market trading patterns. There are many ways to invest in gold. You can buy physical gold in the form of bullion, coins, bars or even jewelry. Alternatively, you can invest in gold electronic transfer funds (ETFs), which track the price of gold stock from mining and exploration companies. The rise of online gold trading companies like Global Intergold makes it easy for amateurs to invest money into gold – you can buy physical gold and store it in a secure vault. Of course it is not all plain sailing. Gold, unlike stocks and shares, does not generate an income in the form of dividends and the like. The only way you can make money from gold is by selling your investment at a higher price than you bought it at. On the other hand, gold will continue to be a tradable commodity even when currencies cease to exist. You can also convert gold to cash if necessary. The value of gold can fall as well as rise, but if inflation is on the horizon, gold is always a smart investment.